Google Drive File Stream is a service that creates a network location on your computer to access your Google Drive’s files. This allows you to access and open files from your Google Drive within File Explorer rather than just through the web-based interface. You may have Backup and Sync from Google or Google Drive for PC/Mac installed on your computer. Both of these applications sync files from Google Drive to your computer and create a shortcut on your desktop. Google Drive for PC/Mac is an antiquated client that is being replaced by File Stream. (Note that Google Drive for PC/Mac refers to the client, not the Google Drive service itself.) Google will be ending support for this application on May 12, 2018. It is critical that UCA users should make the switch to File Stream by this date. Backup and Sync is the successor of Google Drive for PC/Mac, but it is intended for personal use with consumer Google accounts only (those that end with @gmail.com). IST strongly recommends that UCA users should switch to File Stream. 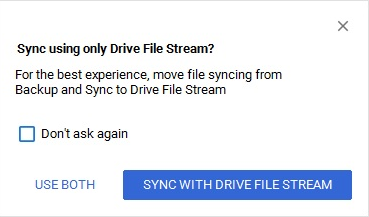 Before installing File Stream, you will need to make sure that Google Drive for PC/Mac and Backup and Sync are uninstalled from your computer; IST strongly discourages running File Stream alongside these other applications. Uninstalling these applications will not delete your Google Drive files or folders. From the Start menu, click Avecto Programs and Features. 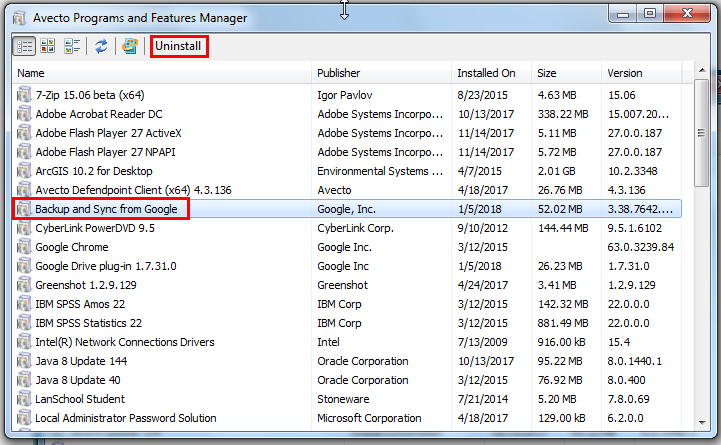 In the Avecto Programs and Features Manager, click the program to highlight it (either Backup and Sync from Google or Google Drive for PC/Mac), and then click Uninstall (or Uninstall/Change). If it appears in the list, do not choose Google Drive plug-in. When any windows appear asking you to confirm your choice, click Yes as needed. To begin, restart your computer. This cleans up any uninstallation files left in your computer’s system from the previous steps. Windows 7: From the Start menu, click to expand the folders Microsoft System Center and Configuration Manager. 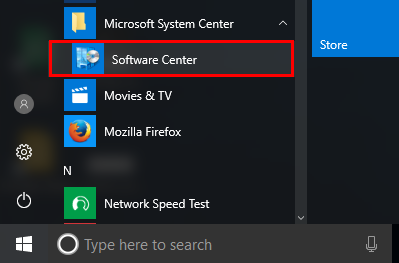 Then click Software Center to open it. 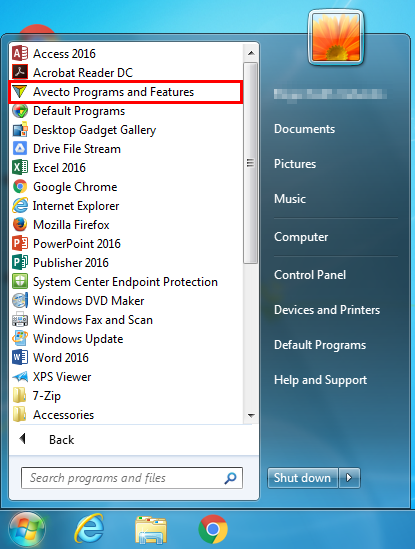 Windows 10: From the Start menu, click to expand the folder Microsoft System Center. Then click Software Center to open it. 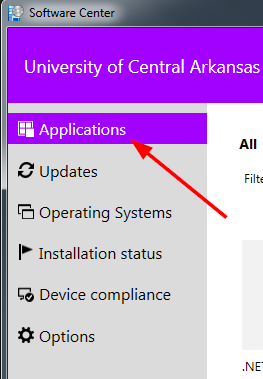 NOTE: If you do not see Software Center on your UCA-owned computer, contact the IST Help Desk. Click the tab Applications on the left. 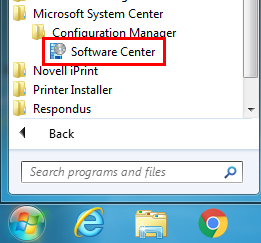 NOTE: Some computers’ version of Software Center may have an interface with a blue-colored menu (instead of purple). If your computer’s version looks like this, click Available Software. 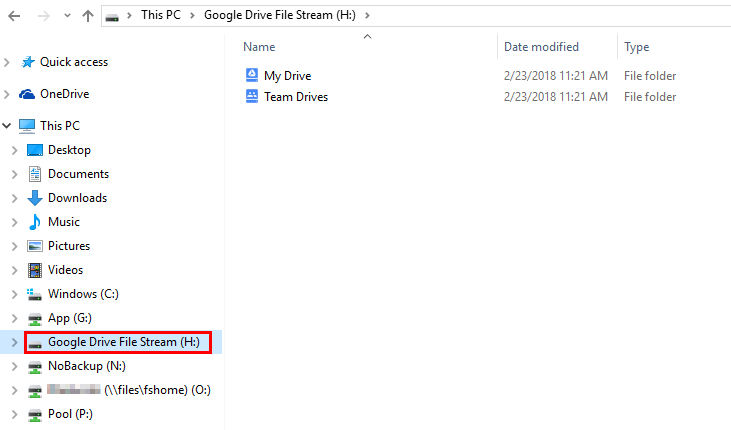 Click Google Drive File Stream from the list. Click the button Install. This is will begin the installation process. 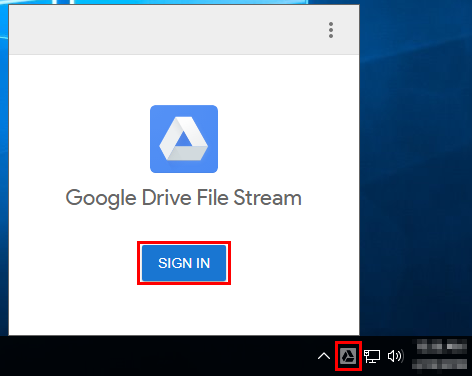 If File Stream does not automatically log you in, click the File Stream icon in the system tray (in the lower-right corner of the screen), and then click Sign In. 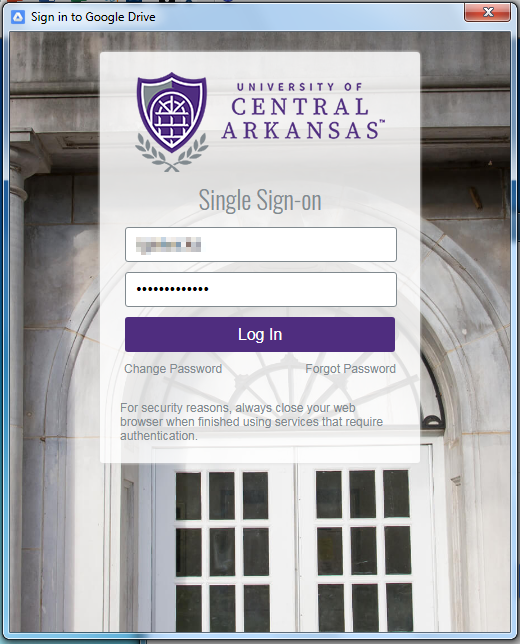 Sign in with your UCA email address, and then click Next. Then complete the sign in process by entering your username and password, and then click Log in. 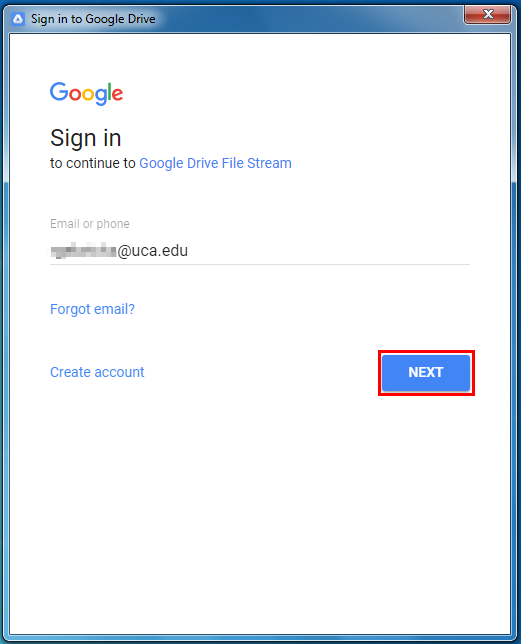 Once installed, you can access your Google Drive through the Google Drive File Stream network location in File Explorer.